Grab Life By The Balls! You have seen the movie, but you still cannot dodge a wrench... no problem. Join our Dodgeball League and you will perfect the thunder bolt, flinger, and boomerang in no time. This social league is more fun than what you remember from 3rd grade. Dodge, Duck, Dip, Dive and, oh yeah, Dodge! FREE AGENT ONLY LEAGUE! 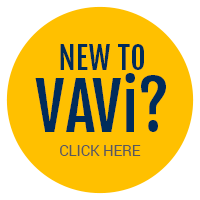 Sign up as an individual and meet new people in VAVi's first ever Free Agent League! Concerned about being on your own? No problem! You may request up to three friends and we will place you on a team together. Please email Ducote, dcontreras@govavi.com, with your friend request. Registration is done on a First Come, First Serve policy.